Once per week, our Kindergarten through 12th grade students attend a Chapel service in our auditorium. This is an opportunity for the school to worship corporately and grow in faith. The Elementary School has a separate Chapel experience from the 6th through 12th grade students to provide age-appropriate services for deepening the personal relevance for students. In both age groups, the Chapel service begins with a call to worship in prayer. 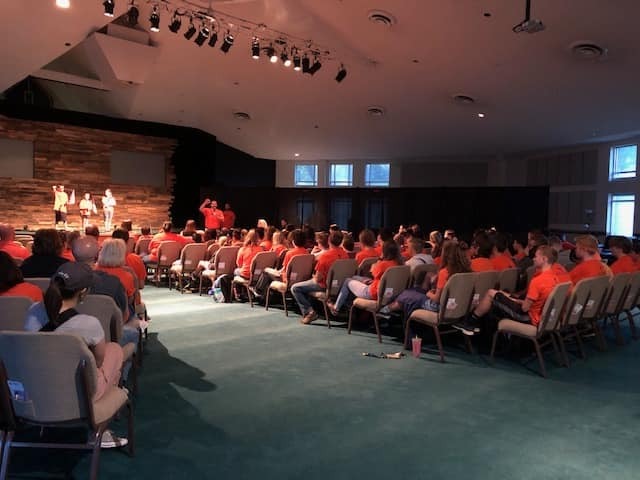 Students and teachers then praise God through contemporary worship music followed by a relevant, gospel-centered message by a guest speaker or teacher. Chapel closes in prayer. For students who are already professing Christians, this is one of the ways LKNC helps them learn and grow in their faith. For students who are seeking God and being sought by Him, this is one of the ways that LKNC presents the gospel of Christ in an attractive, loving manner.